Kai is a soldier working aboard Terra Venture, who seems very protective of Kendrix. When his teammates left for Mirinoi to help Maya, he decided to go after them, and brought with him Damon and the Megaship. 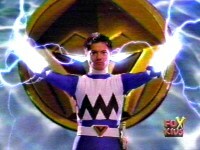 He obtained his Ranger powers when he pulled the Blue Quasar Saber from the stone. Kai is a true soldier, he is straight laced, and does things by the book. He often disapproves of Leo's brash behavior, but he undoubtedly admires his heart and courage. 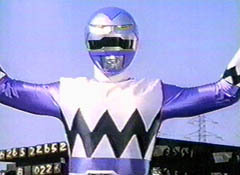 As Blue Ranger, Kai harnesses the power of water, and controls the Gorilla Galactazord. Kai currently resides on Mirinoi along with the rest of Terra Venture's inhabitants. He gave up his powers when he placed his Quasar Saber back into the stone to restore Maya's tribe. 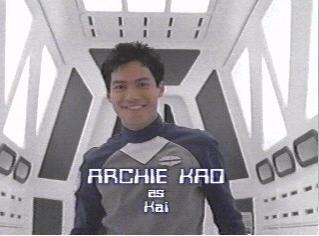 Kai pulled the Saber out of the stone once more to join the Galaxy Rangers on Earth in battling Trakeena.